The beauty and brilliance displayed by an alluring piece of jewelry, like this pair of diamond earrings, entices your vision without much effort. The lustrous, inverted v-shaped frame is partially encrusted with lab grown diamonds. 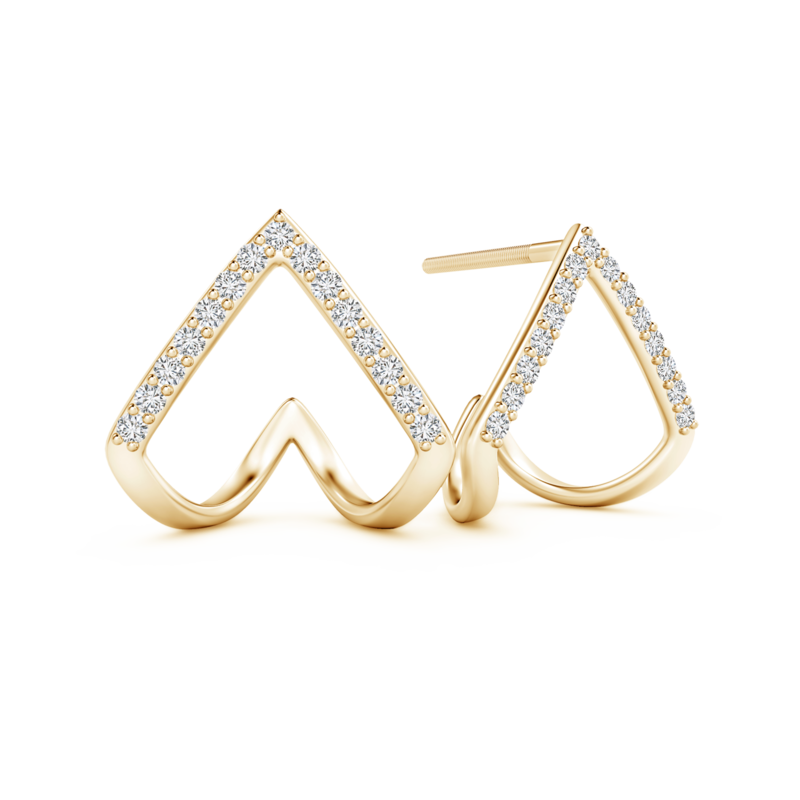 These prong set, eco-friendly beauties exude purity and sparkle endlessly. The 14k white gold metal complements their charm with its radiant sheen. A graceful blend of quality, panache and grandeur makes these lab grown diamond earrings a product of refined artistry.